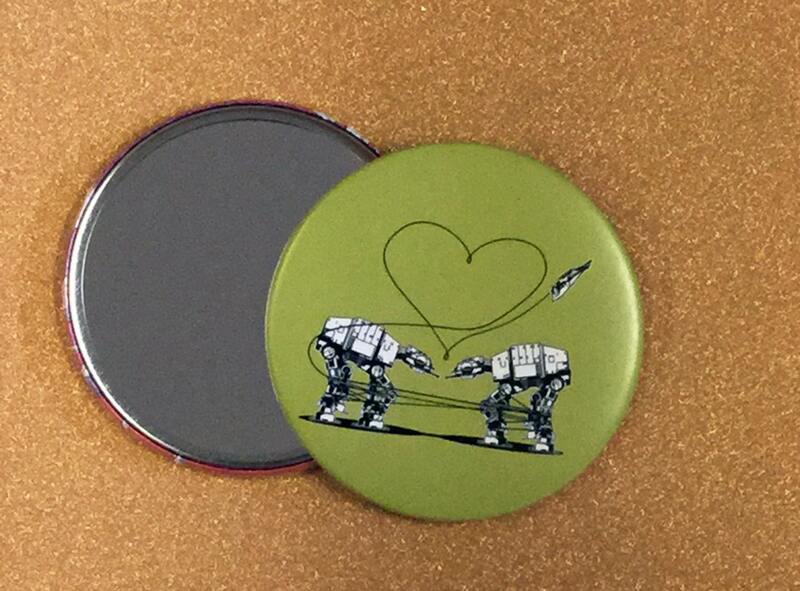 This compact mirror is the perfect gift for the Star Wars lover in your life. 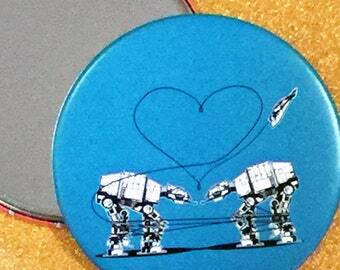 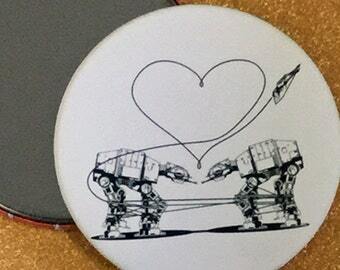 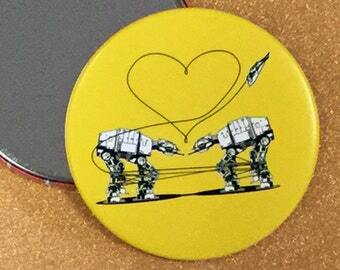 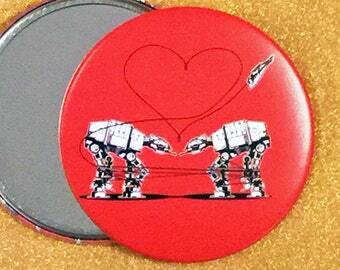 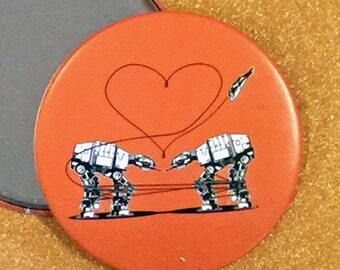 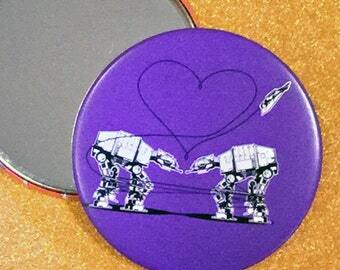 This magnet boasts our popular AT-AT Love design with a brilliant green background. 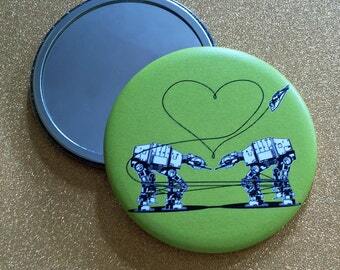 This green pocket mirror measures 3.5 inches around.